“Excellent work. From the moment they arrived to when it was finished, they worked their butts off!! They were very polite, took their shoes off to come into the house, had great clean uniforms on and overall were lovely guys too. My boyfriend and I were so impressed, we’ve told all our friends (most of whom are moving into houses at the moment) so we hope you get some more business. If we move again in 12 months time, we know who’ll we’ll be calling!! I’ve been meaning to email all week and only just getting to now… but we really wanted to say how fantastic the removalists were that helped us on the weekend. They were just absolutely fantastic, had such a great attitude and really made our move so much easier than we thought it was going to be! We will certainly be using you guys again in the future! I just wanted to give you some feedback on the removalists you sent to do our move on Sunday 26th August. These two guys were fantastic. They were very polite and got the job done very quickly and efficiently. I have moved house several times in the last few years and have not been as impressed by the removalists as I was with this two guys. Thanks again for your help in organising and please pass on my feedback to the removalists. The move went really well and the guys were fantastic. A big thank you to you and your team! I have no hesitations to recommend Quick and Easy Removals in the future. 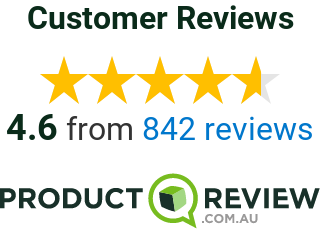 “I’d like to thank you and the team at quick and easy removal for providing us a professional, and efficient service for our relocation. The move went like a dream for us, and a huge part of that was your prompt initial quote, and ongoing answers to the many ongoing questions I was sending you. Also a huge thank you to the guys who helped load in Fairfield. They were all professional, good natured and they went about their work in good humour.